But lately, that's not my dream. I've been exploring the question, "What brings me true joy?" The last few years I've been exploring facets of my own leadership, teaching, and being seen. It's been transformative, eye-opening and has certainly brought deep soul-growth to my life. But these days I'm finding pleasure in the most simple moments. Walks with my cat in the vineyard. Making sushi with my love on a Sunday night. Going to the ocean on a whim to watch the sunset. Remembering the beauty of a flower. Going deep with clients one-on-one. I'm realizing I'm totally ok with being ordinary. And that actually feels like a huge success. So today I leave you with a question: Where do you find your true joy? and How could you bring more of THAT into your life today? I hope you enjoy our new podcast with Rosalie. In the latest episode we explore the meaning behind tantra and how we can use it to experience more joy and pleasure in every moment, whatever life brings our way. The idea for my Live, Lead, Launch webinar came to me about 6 months ago, but I didn't take action on it. That's because this winter I was deep in hibernation mode. I had just raised over $10k to publish my book, Just Be and the thought of launching anything or increasing my visibility felt like way too much. What I really needed was rest. So besides continuing with a few coaching clients, taking small steps forward with my book and teaching a weekly yoga class, rest is what I did. I gifted myself the time of deep rest and spiritual inquiry. I took long walks with my cat in the back field. I meditated. I read books. I took naps on my couch. And to be honest, part of me felt guilty about it. Part of me wondered what was happening to me. Was I losing my creative drive and ambition? Was I becoming a different person? Where was my usual zest for life? I began questioning everything. I also compared myself to other women making huge strides in their career. I felt left behind. The voices in my head started telling me, "You should be doing more! You should be earning more! You should be serving more!" In the past, I've listened to those voices, and you know what? I burned out. I've been in that place where I drove myself to stay up late on the computer night after night and sacrifice my self-care. It was terrible. I have recently vowed not to push myself like that anymore. Only within the last few weeks have I felt myself waking up from winter's hibernation. I realize now, I wasn't losing myself. I was finding myself. The wisdom of my body was guiding me closer to the feminine. Honoring a feminine way of being and living is cyclical. It goes through phases of contraction and expansion. Think of a woman giving birth. There are times of intensity, and then there are periods of rest. It's honoring that there is a universal force moving through you, and you have to trust in the process. You can't make it happen any faster than how it is naturally meant to unfold. Where do I invest my energy to make my highest contribution? I have more trust in the natural rhythms and cycles of being a woman. I know it's okay if I go through periods of great expansion and periods of deep rest. I trust in the divine timing of when a project is ready to be birthed. And after many months of incubation, my latest project, Live Lead Launch is ready for you. If this way of living and being appeals to you, I'll be sharing more about it in my free webinar tomorrow. Just click here to sign up if you haven't already. We go live tomorrow at 12 pm PDT. Even if you can't make it live, when you click here and sign up you'll be sent the replay while it's available. Today, I invite you to trust that it's happening. 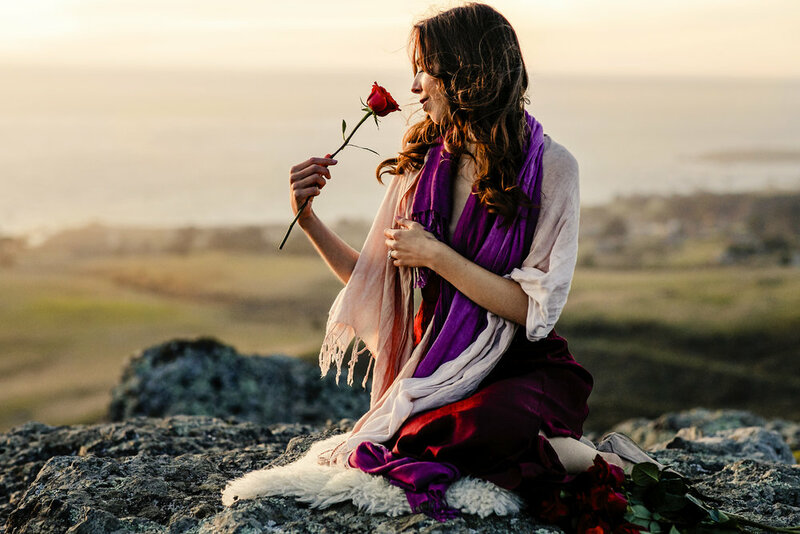 My hope is this free webinar will give you the tools you need to take your next steps while honoring the feminine in the process.